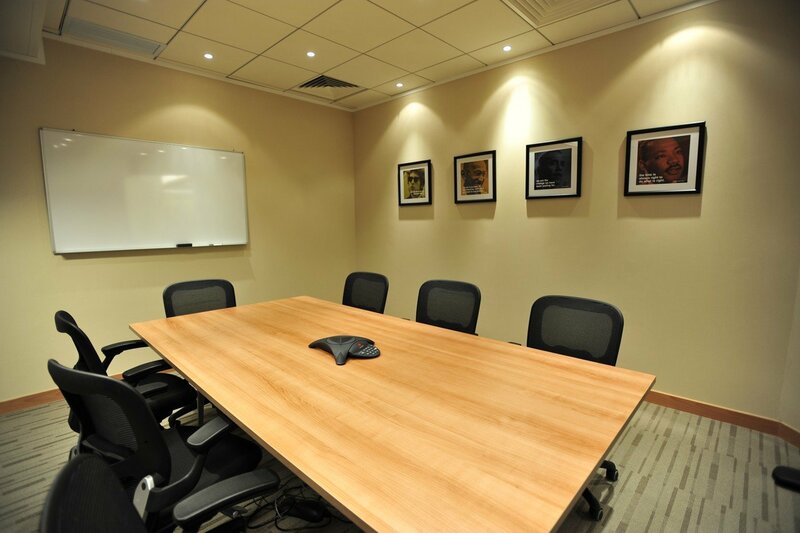 The main advantage of a meeting room like this its high end relevant facilities that are sometimes offered at no extra charge. Each room is equipped with a projector, IP Phones and Polycom conference units, stable wireless and wired internet connection. Friendly and multilingual receptionists will be glad to assist you with any of your needs. Additional services like RSVP and catering will be available upon request. We also offer a meeting room for 10 guests inside the same great location.